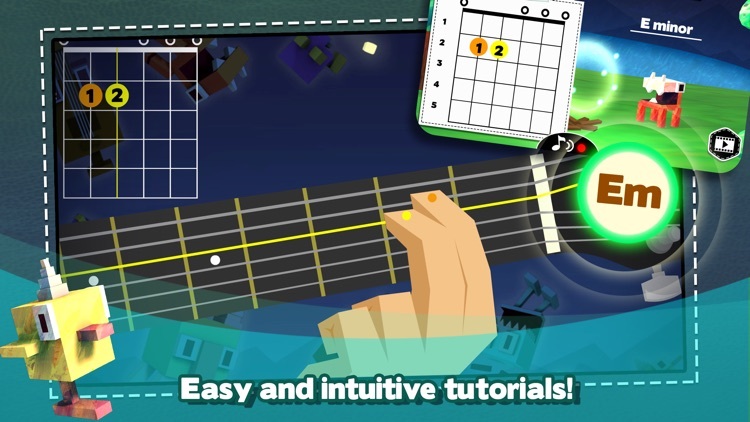 Introducing Monster Chords, a new and one-of-a-kind way to learn the guitar! 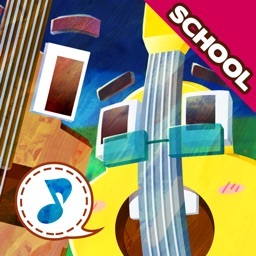 This app makes learning every chord a fun challenge, and it removes the tedium that can come with music learning by making it a game! Perfect for beginners of all ages,all you need is a guitar or ukulele! 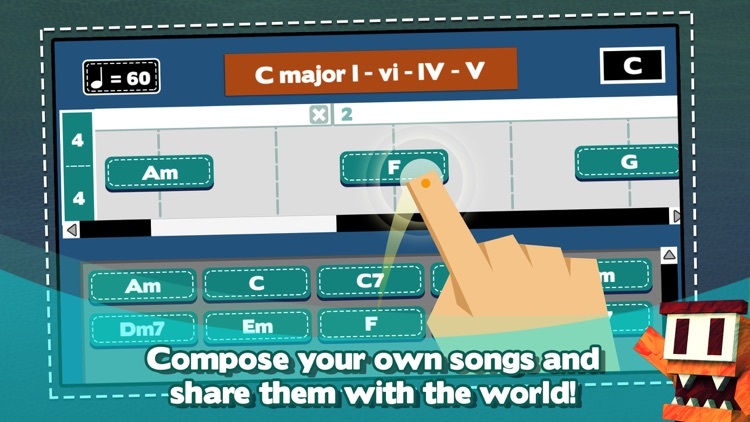 What's more, you can even create your own music through the Composer Mode! Shy, music-loving monsters roam the dark forest, and would like nothing more than to hear some good music. Play the right chords in time with the music to draw them out of hiding. 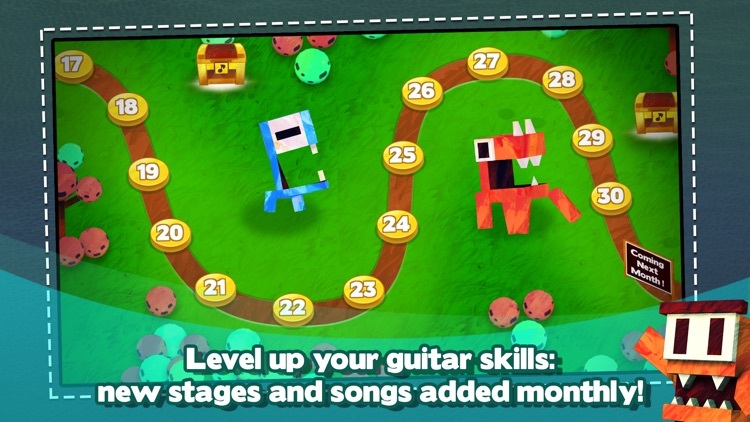 Each time you play the correct chord, the monsters move closer towards your campfire. If you make a mistake, they will go back into hiding. Jam along to classic songs like "London Bridge Is Falling Down", "Mary Had A Little Lamb", "LadyBird", "I'm A Little Teapot", and get in the groove with over 20 original modern compositions. 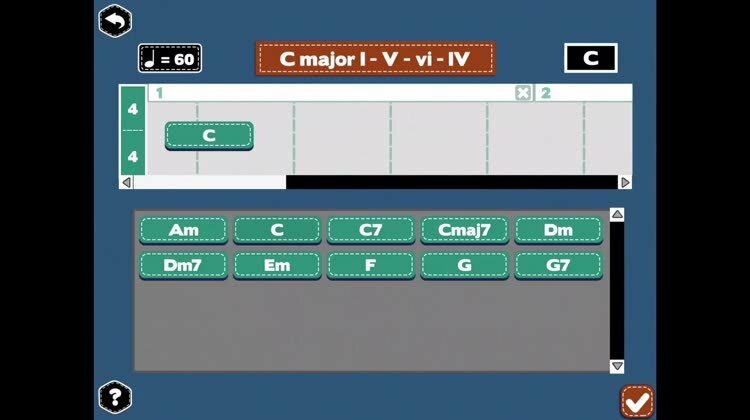 Monster Chords also introduces the Composer Mode, a simple, user-friendly tool that lets you create your own songs. You only need to choose the tempo (or beats per minute) and drag and drop chords to start making your own groove. 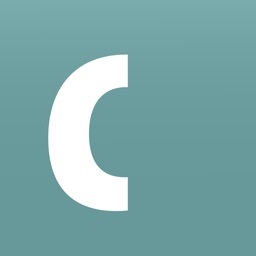 Upload your own songs and share them with your friends, or play songs created by other users! 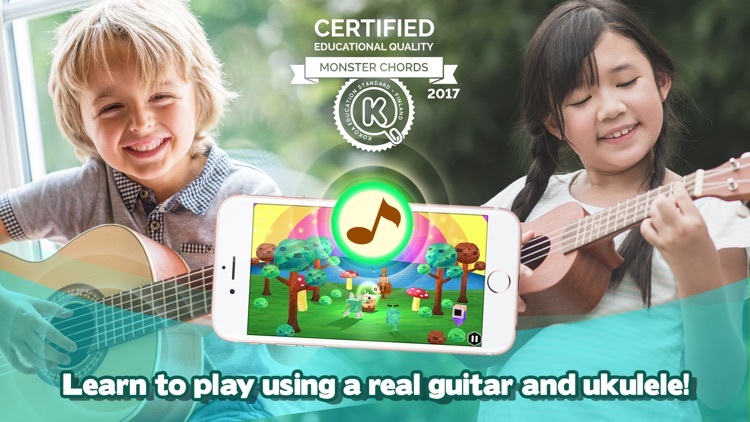 Monster Chords ranks chord playing with a simple and friendly star rating, allowing you to practice and improve your guitar skills over time. 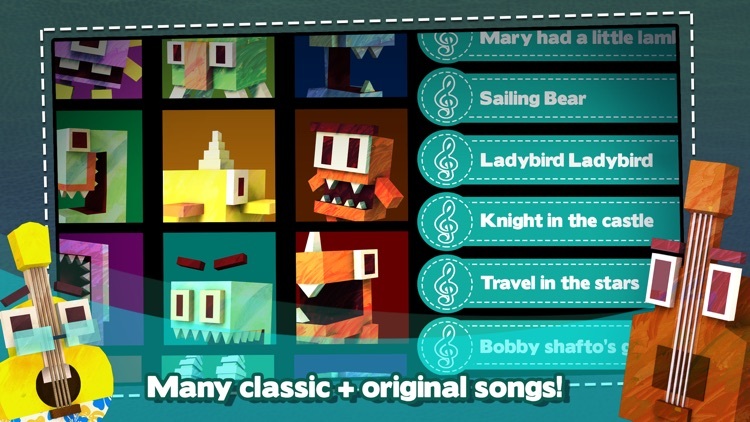 It also includes a guitar tuner minigame that you can play in either timed or easy mode. With 50 challenging levels, kids will absolutely love this approach to learn chords, and will keep coming back for more practice. 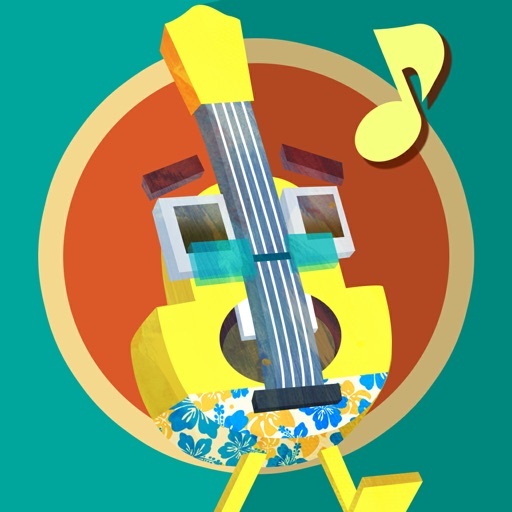 Levels/songs will be added every month, so there will be lots of new content to look forward to. The Kokoa Education Standard evaluation, which has been validated by Helsinki University educational researchers, reviews edtechs in accordance to pedagogical and learning engagement parts based on 21st century skills and Finnish understanding of efficient learning. The first 5 levels in the app are free. You will have to subscribe to get unlimited access to all content. Your subscription will automatically renew at the end of each term and your credit card will be charged through your iTunes account. Subscription automatically renews unless auto-renew is turned off at least 24-hours before the end of the current period. You can turn off auto-renew at any time from your iTunes account settings but refunds will not be provided for the unused portion of the term. 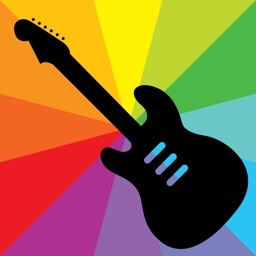 - Range of cool songs to choose from! - Hordes of cute and adorable monsters! 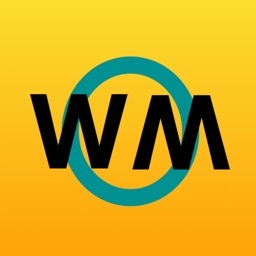 - Over 50 levels of fun, challenging gameplay! 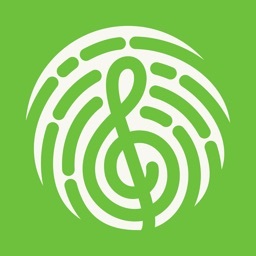 - Make your own music and share it with the world! - New content added on a monthly basis! Guitar and Ukulele not included - please supply your own.